Home / SCHOLARSHIP / SCHOLARSHIPS: INTERNATIONAL STUDENTS INVITED TO STUDY SCHOLARSHIP OPPORTUNITIES AT COMSATS UNIVERSITY IN ISLAMABAD (CUI). DEADLINE 6th, FEBRUARY 2019. 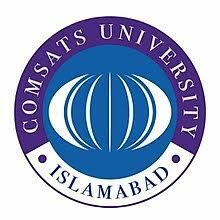 SCHOLARSHIPS: INTERNATIONAL STUDENTS INVITED TO STUDY SCHOLARSHIP OPPORTUNITIES AT COMSATS UNIVERSITY IN ISLAMABAD (CUI). DEADLINE 6th, FEBRUARY 2019. COMSATS University Islamabad (CUI) is now launching admissions for the Fall 2019 semester for international applicants.